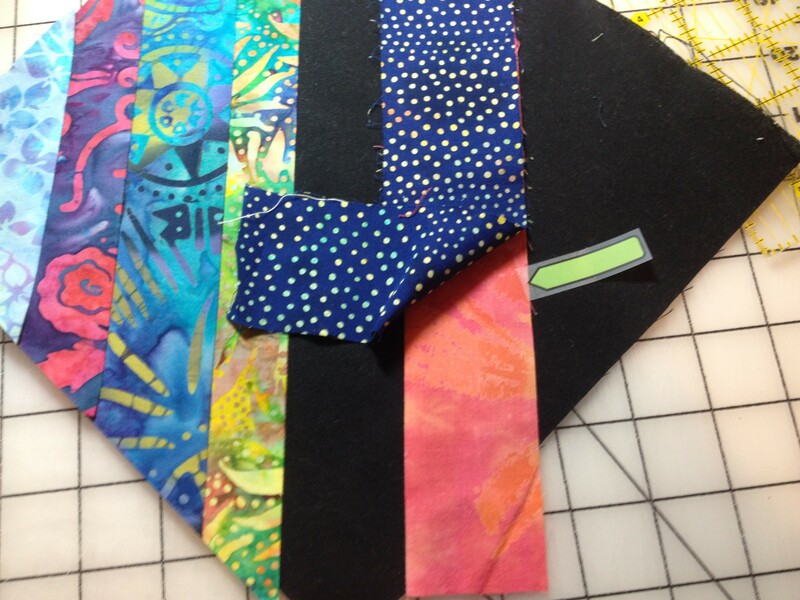 Below you will see some pictures and directions that I hope will answer the questions that you might have regarding the completion of the raffle quilt block. The black squares are being given out at our January meeting to be returned at the February meeting. We hope to have the quilt completed by May so that we can start selling tickets ASAP. As you can see here the line is drawn on the block. 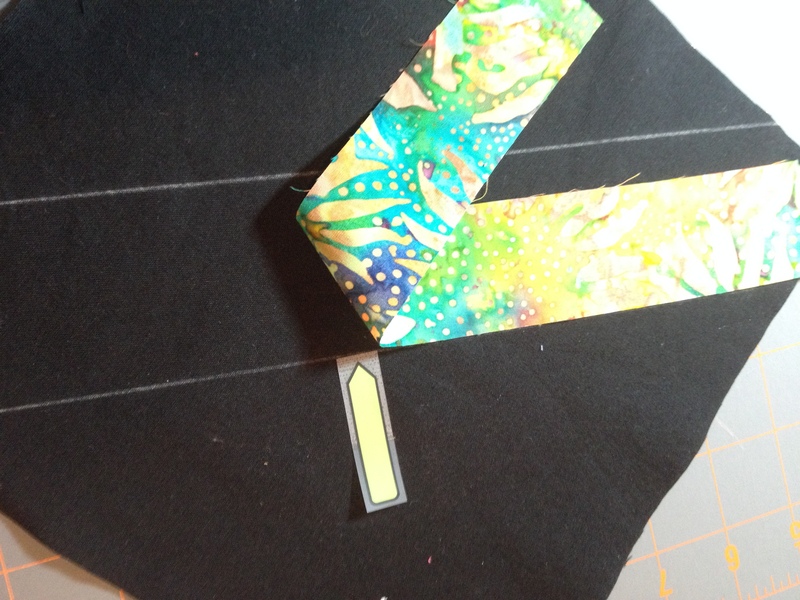 Please do not use a dark color for the first strip on either side of the black because when the top is completed we want the black to stand out and lighter colors work better. 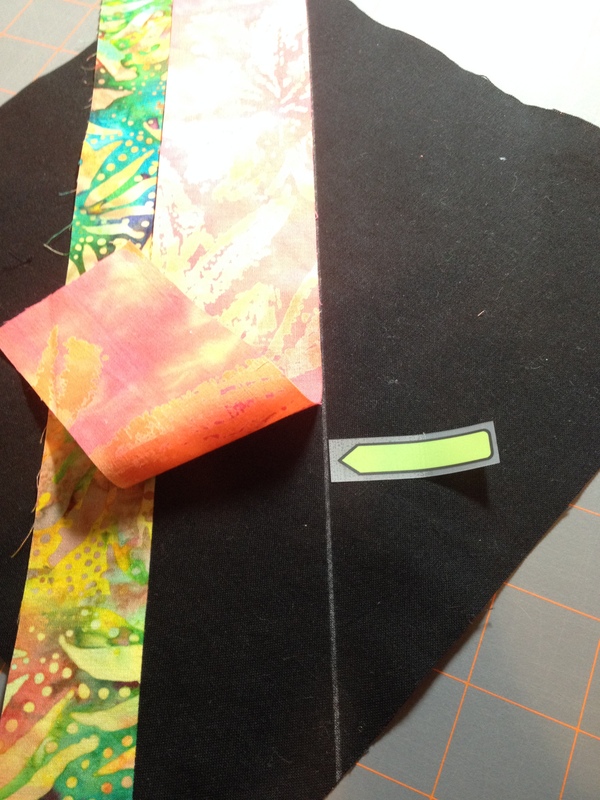 You will align the edge of the fabric with the line and stitch a 1/4″ seam allowance. After you have stitched the fabric flip it over and iron it. 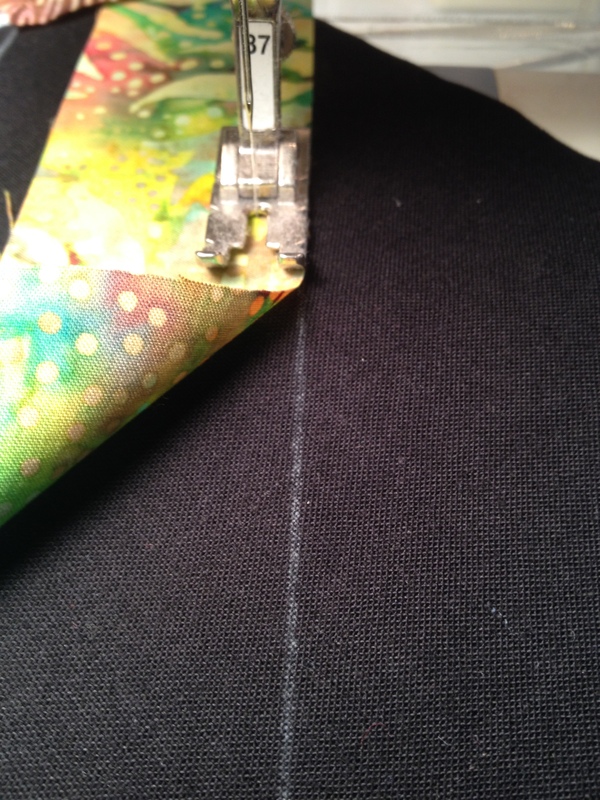 You will align the second fabric up the same way with the second line. 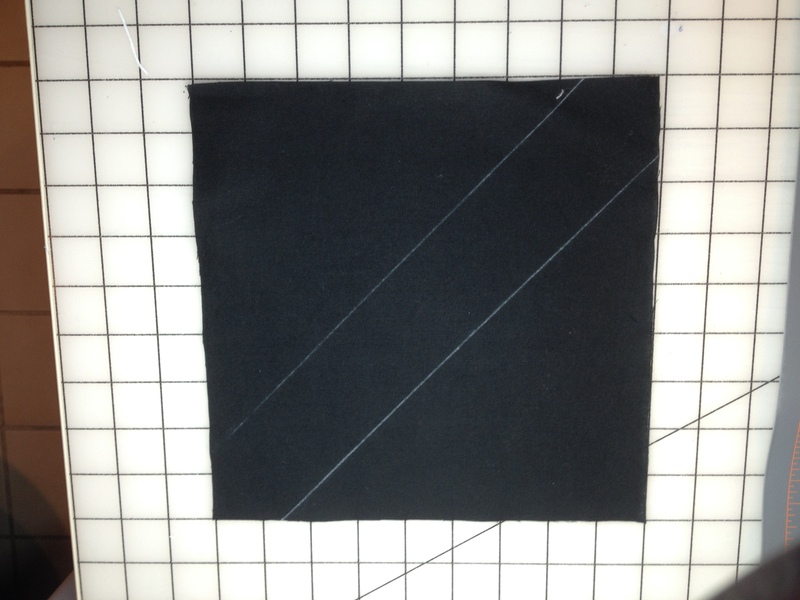 Stitch 1/4″ seam and iron over as you did with the first strip. 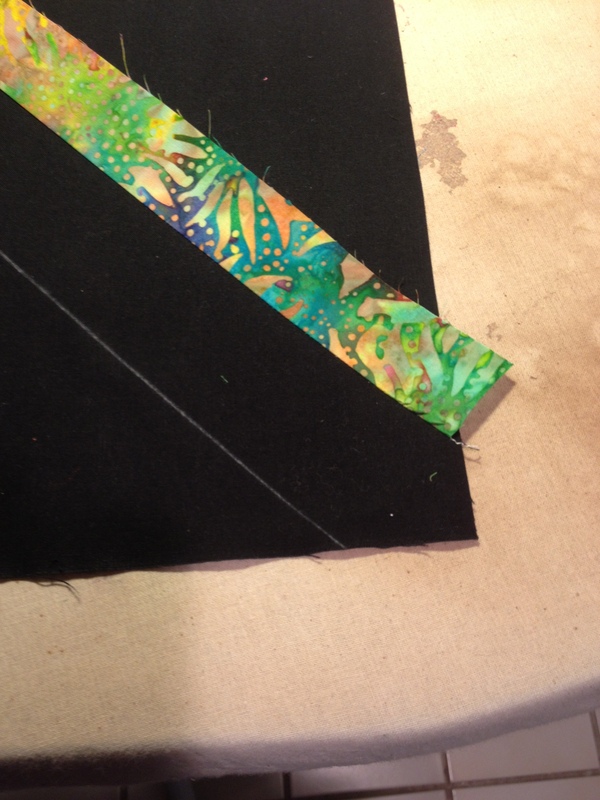 Then continue to add various width strips until the black fabric is covered. 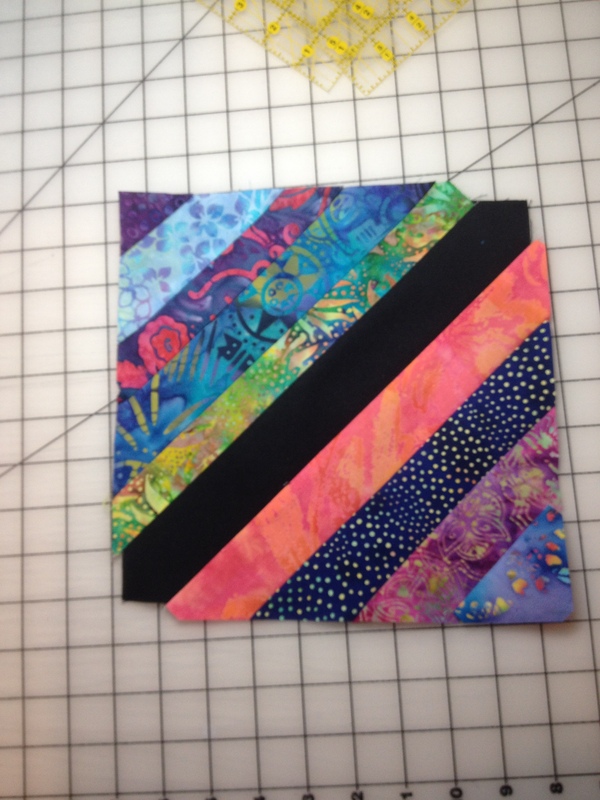 Here is a completed block. Please do not trim. We will trim the blocks when they are all complete and handed in. 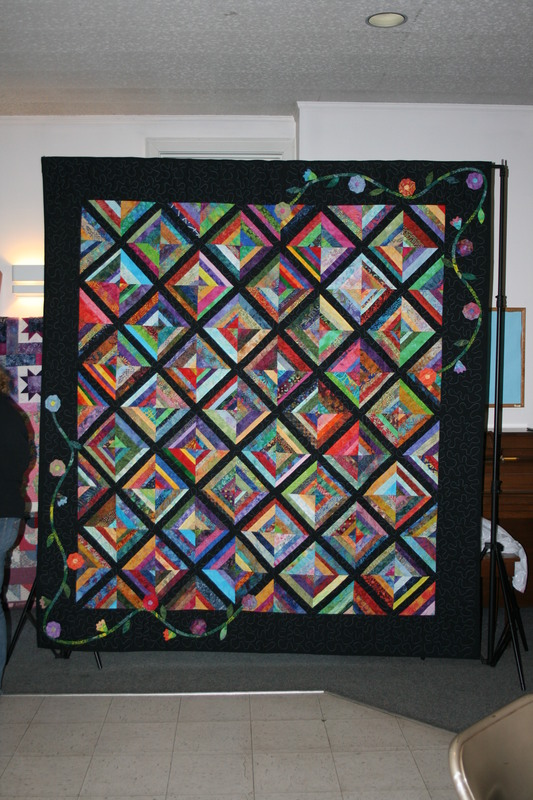 This is a picture of a completed raffle quilt. Of course ours will not look exactly the same but the design is the same. Evergreen members please contact me if you have questions. This is a great way to make sure we are doing it correctly! Thank you – I hoped that the pictures would make it easier to understand.